This is a post all about what you need to know about becoming and being a great pattern tester. What is a pattern tester? Well when a designer is creating a pattern to sell (or even free ones) they send a test pattern which is usually a late draft of a pattern for testing. They send out to a group of pattern testers and the testers, test it for sizing, skill level, and to ensure it works. Another reason designers have testers is for photography and marketing. The testers are asked to provide photos and honest constructive feedback for testing the pattern. They also market the pattern by telling friends, sharing on social media and perhaps blogging about the pattern. Being a great tester is about giving very good, constructive feedback. The biggest thing is to be honest about the pattern. without feedback designers are unable to have essential information they need to market the pattern. An example of this is when i put my Luna Bag to my tester group. They realised it was a tiny bit small for a laptop bag and yet it was the perfect shape! All of them wanted it in laptop size, so i added that size. Designers have different processes for requesting and choosing testers. Some have the same testers for all patterns and some like myself request new testers each time and choose mostly new testers each time. When choosing my testers i look at skills, experience, if they have a business and the quality photos on their social media, shop or website. I always want a mix of skill and experience level. I do want advanced but also beginners. Sewists with a business, website or internet presence will always be high on my list. If i have seen your name and photos in other sewing facebook groups or mine, i will put you higher on the list. An active group member makes a great tester. Photos are important. They don’t have to be professional but they should be clear, a neutral background and styled well. I also love bright fabrics so i tend to like the photos with light, bright colourful fabrics in them. Pattern testers are expected to give honest feedback via email and sometimes private facebook groups, ask questions, offer suggestions on use, sizing and market value. Testers are also expected to share their positive experience sewing the item and share photos on social media, websites, and discuss with friends. Secret keeping is an essential part of testing. Some features of the pattern and photos of the finished result may not be shared until the designer wants them to be. This is for advertising build up, marketing reasons and sometimes so that the design cannot be copied. How do i find testing opportunities? Many designers post about testing opportunities regularly on their social media. Occasionally they will put a post on their website. 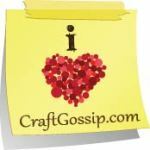 When looking for a whole new group of testers i will post my advertisement on a general sewing site. This encourages new sewists or people looking for a challenge to apply. If your not chosen don’t give up. improve your photos, practice sewing and get involved in the sewing community. If you have a blog and want to do reviews and testing start by reviewing the patterns you already own. Build case studies for your current reviews and give them as reference to the designer to take into consideration. If you would like to keep informed sign up to my newsletter!